Don’t we all love Scrivener? I know, it has a steep learning curve, but if you really put your heart to it, you’ll be ahead of 90% of other authors, since you’ll be a master at using a tool that can really revolutionise your writing. When I first ‘met’ Scrivener a few years ago, like many, I was immediately intimidated. Too many menus, all those buttons, where do I even write in this thing? Fortunately, I was smart enough to take a course that taught me all the ins and outs of the software. I by no means consider myself a ninja at it, but at least I can say I know the answers to many questions I find in forums and private FB groups. Transfer the typical blog post structure to book-sized proportions, and you’ll easily understand how Scrivener works. 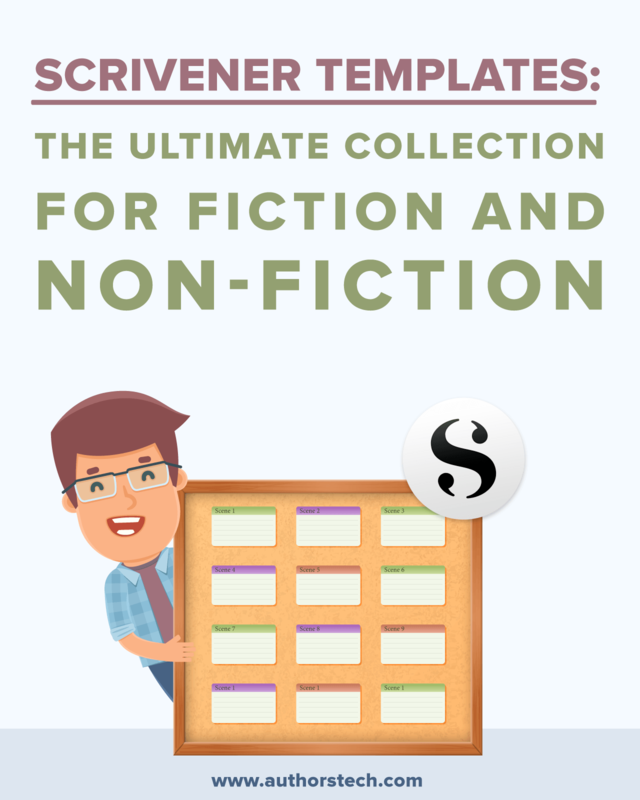 Where do I find Scrivener Templates? …means that the template is FREE. …means that you'll need to pay for the template. …means that there is no optin required to download the template. 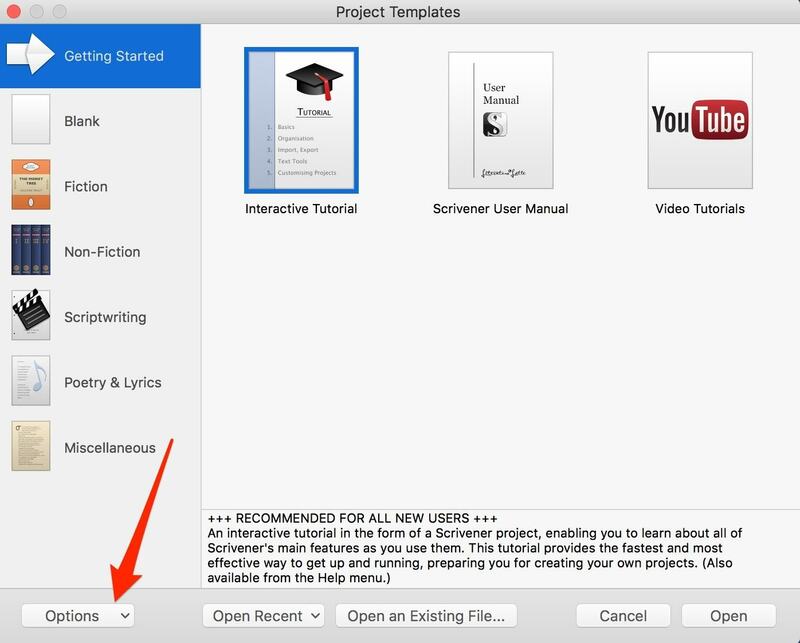 How Do I Upload A Scrivener Template? The process is extremely simple. Just follow the step-by-step instructions and you'll be able to upload your template in no time! 1. Download one of the files, then save it somewhere handy. 3. From the dropdown menu, select Import Templates. 4. Choose your saved template and... all done! An all-time favourite. Based on K.M. Weiland's books on outlining story. Created by M.G. Herron, can also be used for short stories. Created by Scrivener guru G. Hernandez. Created by Mel Corbett and specific for mystery novels. Inspired by Larry Brooks and his 'beats' story structure. Originally for the 'one-page' novel structure, is also perfect for novellas. Created by Damien Benoit-Ledoux, it breaks up a full novel into 30 chapters. Fleshes out each character in your story. Includes various templates: 3 Act, Hero's Journey, 7 Point, etc. Also includes a 'setting' template. Perfect for fantasy writers. Breaks story into 36 chapters, over 4 general parts. Specifically aimed at Romance writers. Useful for managing a blog's editorial calendar. Various blogging templates, including 'Blog Post', 'Sales Letter', etc. Includes templates for papers, research projects and case studies. Full template for planning a comic book. Perfect for planning a picture book (children's). Did you download any of the templates above? Did you find what you were looking for? Let me know in the comments below! There needs to be a fictional language template to get newbies look me started. Just saying. Who knows maybe I’ll make one. Who knows? Hey Tina! What do you mean by ‘fictional language template’? Let me know! Yes. A fictional language template would be great. Hey Magnus. Could you clarify what you mean by ‘fictional language’ template’? Thanks! Hey Brian. I’m new, and I’m enjoying the page. The “fictional language” template the others are talking about, if you haven’t discovered it already, is a template for developing a language in the same manner as J.R.R. Tolkien in “The Hobbit,” or as Stephen King in The Dark Tower series. The development of a new language can be extremely complicated, however, so I’m not sure how one would template that with any kind of general simplicity. Hey Tony, thanks for your comment. I see what you (and the others) mean now!! Hey Fred, what subject specifically? Hi, I just found and really like this site. The Gwen Hernandez template doesn’t download. When I click on it I get the M.G. Herron template instead. Hey Robb, thanks for letting me know. I’ve now fixed the link!